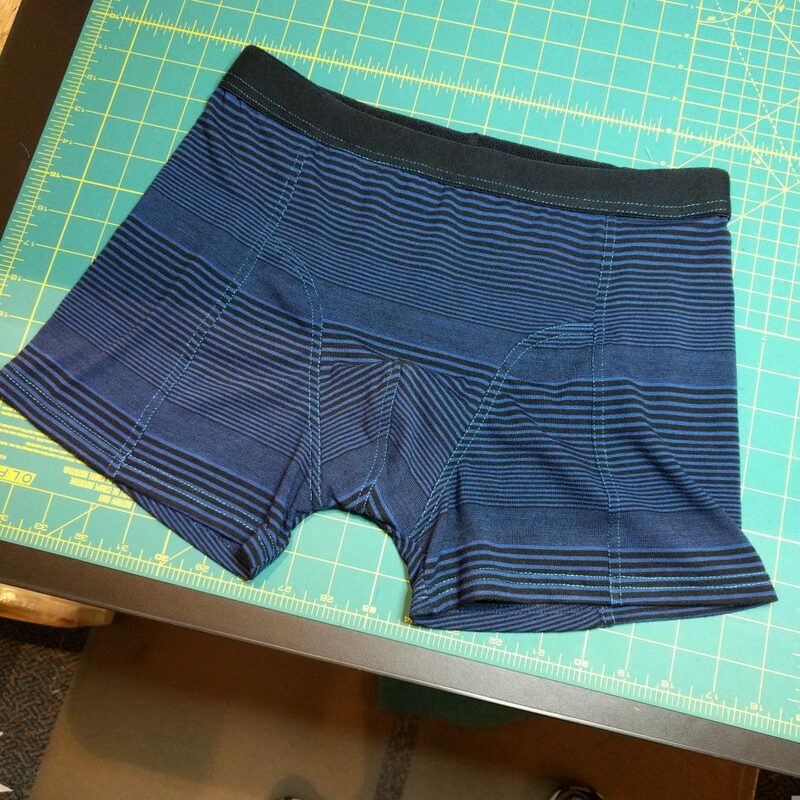 This entry was posted in Completed Projects, Coverstitch, Knits, Underwear on November 11, 2016 by mportuesisf. Before we get going, I just wanted to thank everyone for the discussion in my previous article, Three Tailoring Classes at Craftsy. The comments were hugely beneficial for me and touched on some deep issues such as how and when to turn an avocation into a vocation. Thank you for reading and contributing to the blog. This entry was posted in Sewing Machines on December 9, 2014 by mportuesisf. 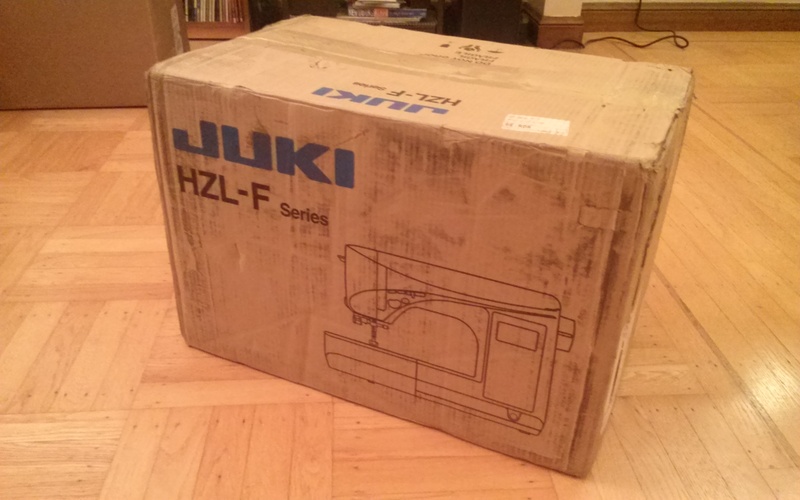 After a busy work week, and a work emergency on the weekend, I finally managed to unbox my new Juki and get acquainted with its features. I also finally finished my yellow shirt, which seemingly had every imaginable obstacle trying to keep me from completing it – including the lack of a button sewing foot as a standard accessory with the F600. It has an elaborate, electronic buttonhole foot (see the video below) but no way to attach a button out of the box. So I used my Brother to do the button attachment – one of the things it’s still capable of doing. The shirt will feature in a future article. For now, I’ve shot some videos of my favorite features of the F600, starting with an unboxing video. Enjoy. This entry was posted in Sewing Machines on November 3, 2014 by mportuesisf. The new toy has arrived from Ken’s Sewing Center. I’m not opening it tonight, because I’m watching the Giants in Game 7 of the World Series. An unboxing video is coming soon. This entry was posted in Sewing Machines on October 30, 2014 by mportuesisf. Having already made my decision to upgrade to a fancier sewing machine, what was a fun pastime has now turned into an imperative. It’s a real downer having projects midway through the pipeline without having a way to finish them. I’ve mentioned before that another of my hobbies is amateur astronomy. Like sewing machines, telescopes are very specialized and technical pieces of equipment. Also like sewing machines, each type of telescope is suited for particular types of astronomical observing. When I first got into astronomy, I went through several telescopes as I learned more about the hobby. At a certain point, I knew enough about astronomy and the type of observing I like to do that I could invest in the best telescope choice for me. Now I think I’m at the same point in my sewing “career”. My Brother PC-210 has taken me from complete beginner to a moderate skill level and the ability to produce some nice garments. And I also know the kinds of projects I like to do. This entry was posted in Sewing Machines on October 25, 2014 by mportuesisf.